We have a great new feature available for our customers’ convenience: additional disk space for existing servelets. 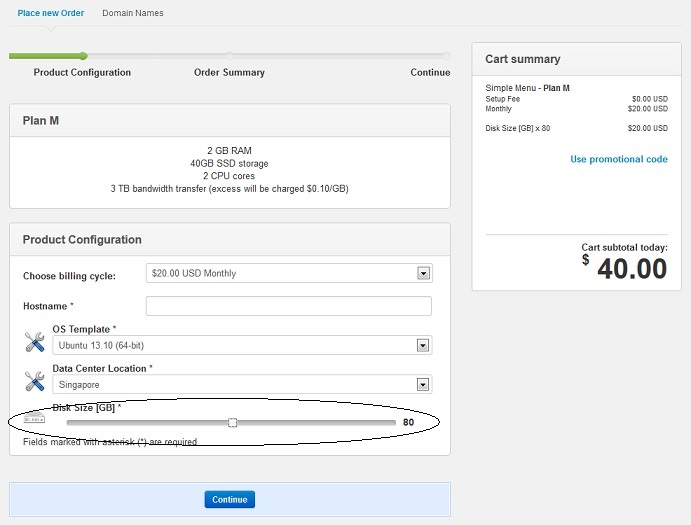 By popular demand, we’ve launched a new order feature for customers to get more disk space for their servelet without upgrading the whole plan. The order function comes with a cool new slider function for you to select the amount of space to add in blocks of 10GB. Yes, it is now possible for you to subscribe to a specific servelet plan such as the Medium (40GB) and add up to 20 GB of additional disk space (in blocks of 10 GB), for a total of 60GB disk space. This is great for customers who are happy with basic computing resource needs and just have higher storage requirements. 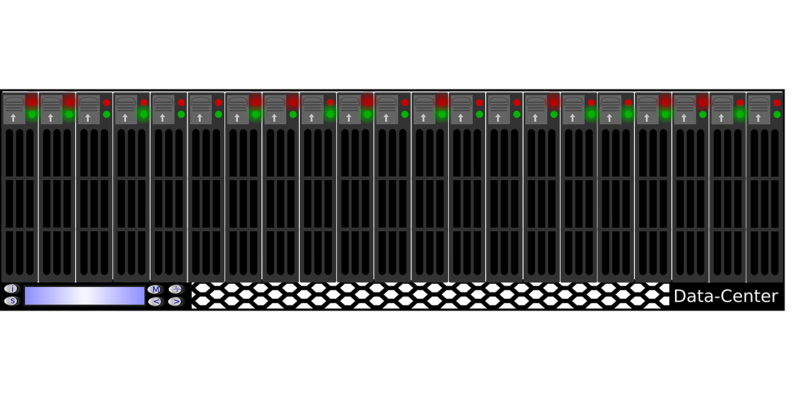 We’re happy to be able to keep the cost of additional disk space to a minimum at just $5 per 10 GB per month, a very competitive considering that we are using full SSD drives for our storage. This is great! How can I order the additional disk space? Just order the servelet as per normal by logging in to our customer portal and then go to Order > Simple Menu and choose the Plan you would like to purchase. You will be able to see the disk slider option where you can slide to choose the additional disk space that you would like to have (see screenshot below). You can press “Continue” to continue the order as per normal. The cost for the additional storage will automatically be calculated. Can I add disk space to my existing servelet? Yes, you can! You need to go to your servelet’s control panel in our customer portal, and click on the “Upgrade” button. You will then be able to see the option to upgrade just your disk space with the slider under “Resource upgrades”, in addition to upgrade/downgrade your plan under “Upgrade package” (see screenshot below). Select the new disk size that you would like to have, and then click on “Continue”. 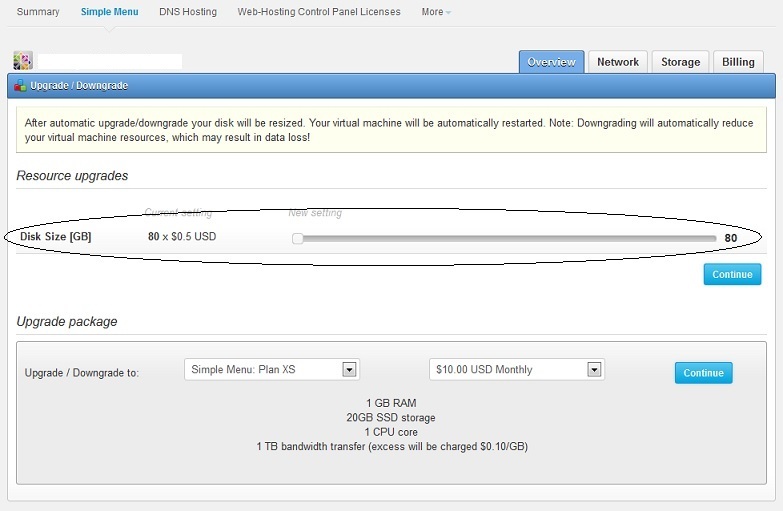 The cost for the additional disk space will be automatically calculated accordingly. Plan XS and Plan S servelets created before 22 January 2014 might not be able to see the “Resource upgrades” and the slider. If you would like to upgrade and need the disk size slider to be available for you to upgrade, please open up a support ticket with us. That’s it! We believe that many of our customers have been waiting for this feature to be released, and for those of you who have been wanting to upgrade the disk space but are reluctant to upgrade the plan/package, this is the time for you to upgrade your disk space. This entry was posted in Guides & How-tos, Milestones, New, Servelets, Services. Bookmark the permalink.